From the east: Exit the A75 and follow signs for Newton Stewart (B7079). After going over the River Cree, turn left and continue for 400yards to Dashwood Square. Turn right then right again onto Jubilee Road and continue as it becomes Church Street. After 60 yards bear left onto Corsbie (NB - Spelt 'Corsbie') Road. Continue up the steep hill and as you reach the peak, the entrance to the pitch is 20 yards on the left. From the west: Continue on A75, past first Newton Stewart junction, until you hit a roundabout, take the first exit signposted 'Newton Stewart - A714'. Continue on this road for 800yards then pick up 'From the east' at Dashword square. 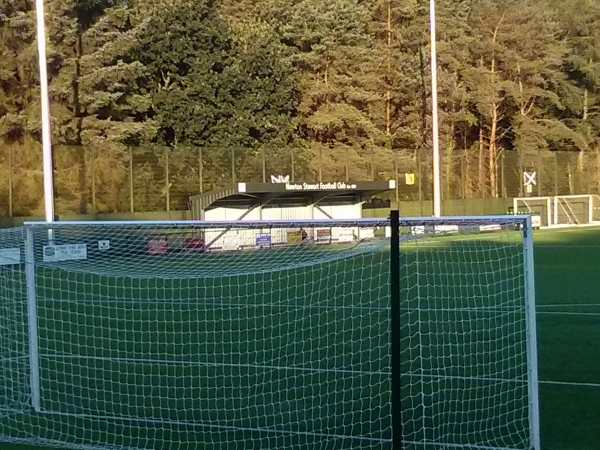 A 3G pitch was installed in late 2013. Two sides of the ground are not designed for spectators. A covered enclosure was added in 2017.